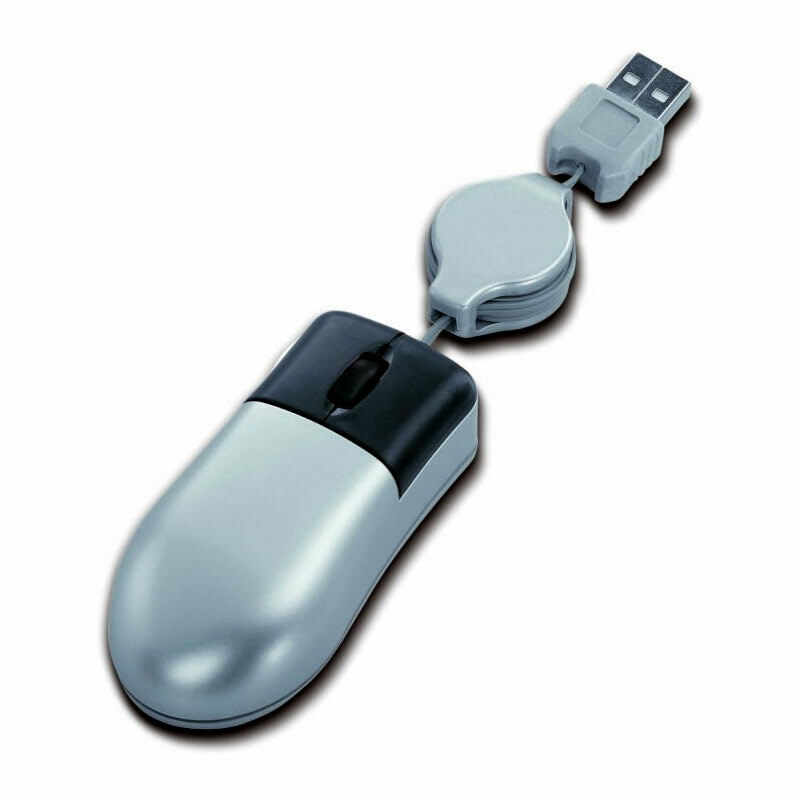 This quality retractable travel mouse is a fully-functioning optical mouse with scrolling roller button and a USB port to connect to any laptop or desktop PC. It has a retractable cable that provides users with the security and reliability of a fixed cable connection between their laptop and mouse, but is also neat and compact for travel when retracted. These optical mini mouse products have an aluminium finish and can be engraved to created branded merchandise or corporate gifts. With such a popular, versatile and highly practical item as a mini USB retractable mouse, you can be sure that recipients will use these tools regularly and so keep your brand or company name in front of mind every time they use their laptops.